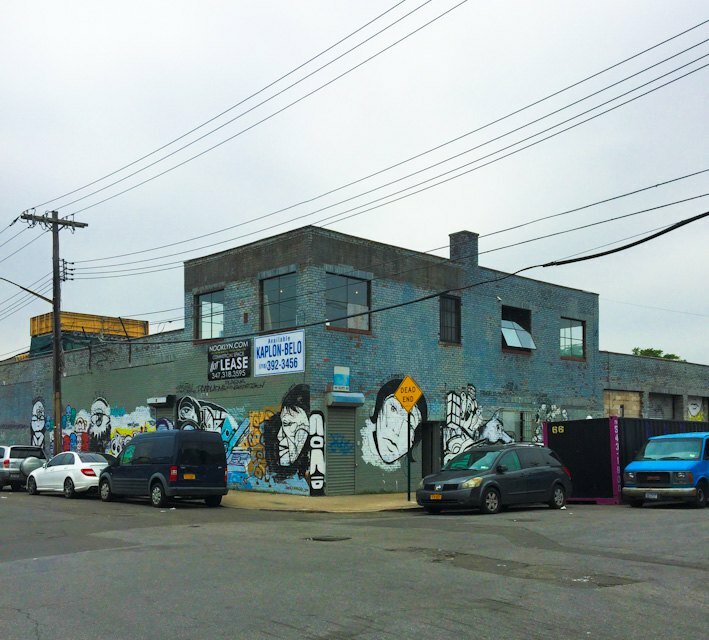 Event mavens Reynard Productions, the creators of CityFox party series, are taking over Bushwick for the summer of your wildest party dreams. 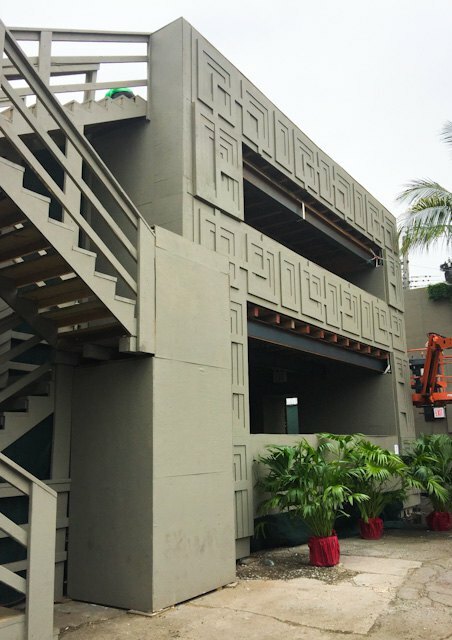 Their new space, The Brooklyn Mirage, located on 99 Scott Ave (corner Flushing Ave) in East Williamsburg, is a massive 53,000 square foot lot that serves as "a tropical summer oasis" for all EDM lovers. 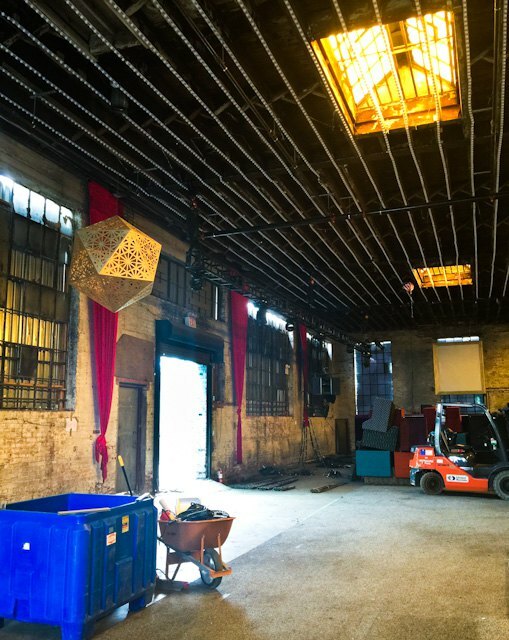 This massive pop up club and an outdoor venue, has opened on the 4th of July and will operate until September 26, reported Vice's Thump. We checked out the space yesterday and are happy to report that it is truly amazing and one can't help but feel as if you've been transferred to an exclusive Hollywood party with all the backyard chic! The space holds an awesome outdoor layout complete with two tiki torch-esque double decker lounge sections and includes ample cushion, a backyard bar with geometrically placed ivy, and palm trees that touch the sky. If that wasn't enough, the two torch towers have viewing areas accessible by stairs, perfect for checking out the skyline. The space seems to have separate party rooms each with varying themes. One is a lavishly adorned room that feels like it has an ode to House Baelish. Complete with ATMs and a bar, of course. In the center of this megaspace, sits a huge stage complete with backstage and green room areas. There's plenty of room in the middle to shake it and, as if it wasn't sweet enough, Thump says that The Brooklyn Mirage has a state-of-the-art KV2 Audio sound-systems. If you weren't already getting ready to head over, may we sweeten the pot by adding, rumored, off site parking. According to the building's property listing, only two portions of the lot are currently for rent wih both the outdoor and indoor spaces set to hold upwards of 2,000 people each. With only an inch of the property's total potential being utilized, one can only wonder what the future holds for the mammoth space. If if you are dying to get over the rest, check out the list of upcoming parties, starting this weekend! 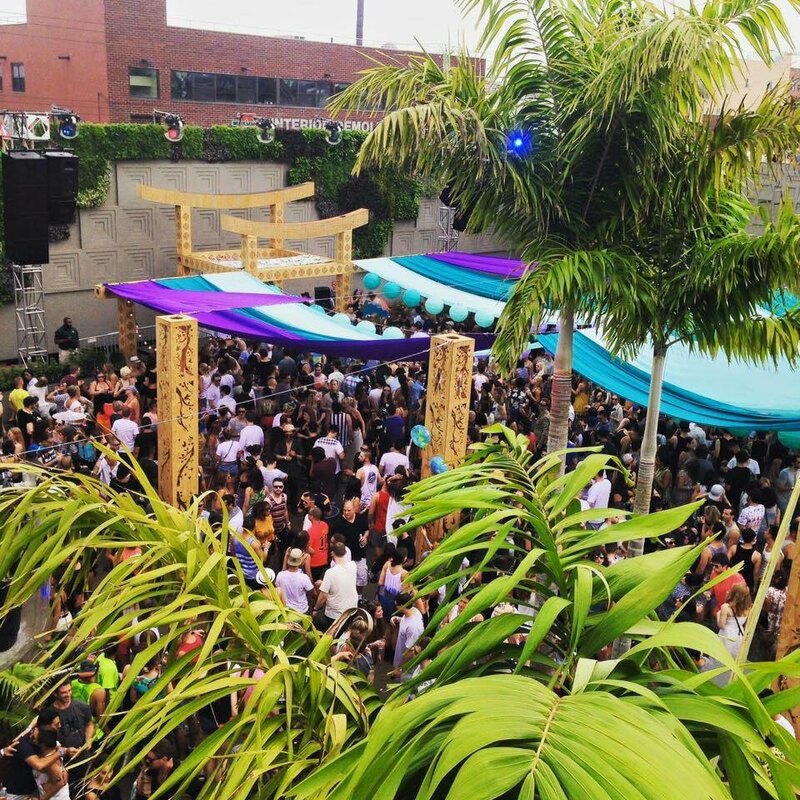 Brooklyn Mirage, 99 Scott Ave, East Williamsburg, operates during events until September 26.